The book of Psalms contains some of the most quoted verses in the entire Bible. Psalms flows with words of praise, prayers, and heartfelt thoughts about life and God. Emotions range widely from crying out to God while facing the depths of despair, to praying for His Sovereign help and protection, to celebrating His goodness with joy and thankfulness. And maybe that’s one reason many of us love it so much, because that is real life. I can relate. Maybe you can too. Some days are just hard. We may wonder where God is when we’re facing the toughest of times or may struggle with feeling like we’ve been left on our own in the heat of hard circumstances. Other days we’re reminded of His constant goodness and care; His praise is evident through our lives. The book of Psalms is packed with powerful verses to continually fill our hearts and minds by memorizing and meditating on them. They offer light and truth for our days. They help to encourage a close walk with God. They give us hope, comfort, and peace for even the most difficult of times. And they provide praises, songs, and faith-filled prayers. If you’ve never read through this entire book, or even if you’ve read it through many times, it’s always well worth our time to give focus and attention to these words of treasure and wisdom for our lives. The book of Psalms was written and constructed as a book of Hebrew poetry, containing 150 chapters, making it the longest book in the entire Bible. The root meaning of the word Psalms means “a melody of praise,” or “songs of praise,” and has been referred to as “the practice of singing to musical accompaniment or playing musical instruments.” The book of Psalms is like a hymnal written for worship services for God’s people. It was written by more than seven authors, some of them unknown, and David was the author of at least 73 chapters. It has the shortest and longest chapters of the entire Bible – Psalm 117 is the shortest and Psalm 119 is the longest. The most popular Psalm and verses are from Chapter 23. 1. Psalm 1-41: Written mainly by David, these first Psalms are reflective of the book of Genesis, written about the creation of man, the fall into sin, and the promise of redemption by God. 2. Psalm 42-72: Written mainly by David and the sons of Korah. Who were they? The sons of Korah were essentially the sons of a rebel. But God still had great purpose for their family line. The prophet Samuel came from the line of Korah, and many of the descendants of Korah were mighty warriors with King David as well as worship leaders and doorkeepers of the tabernacle. These Psalms reflect the book of Exodus, how God rescued the nation of Israel and so rescues us even today. 3. Psalm 73-89: Written mainly by a man named Asaph or his descendants, these chapters parallel the book of Leviticus. Many of these Psalms talk about God’s holiness, the tabernacle, God’s power and the truth that He is deserving of our worship. 4. Psalm 90-106: Written mainly by unknown authors, these books point to the themes and truths of Numbers, where we see the relationship Israel has with other nations. In these chapters of Psalms, the relationship of God’s kingdom with the troubles we face on earth are given a similar perspective, making us aware of His sovereignty and power. 5. Psalm 107-150: The last of the Psalms were mainly written by David, and are reflective of the book of Deuteronomy, giving voice to songs of praise and thanksgiving about God and His Word. Many of our greatest and most well-known worship songs stem from the words found here in these chapters – Psalm 108, 113, 118, 121, 136, 140, 145, 149, among many others. Read 1 Psalm a day over 5 months: Read consecutively through each chapter until you complete the entire book. This method gives time to devote to meditating on each scripture, studying words and verses more deeply, and memorization of verses and some key chapters. Write out the verses that are most meaningful to you in a journal or highlight in your Bible as you journey through. 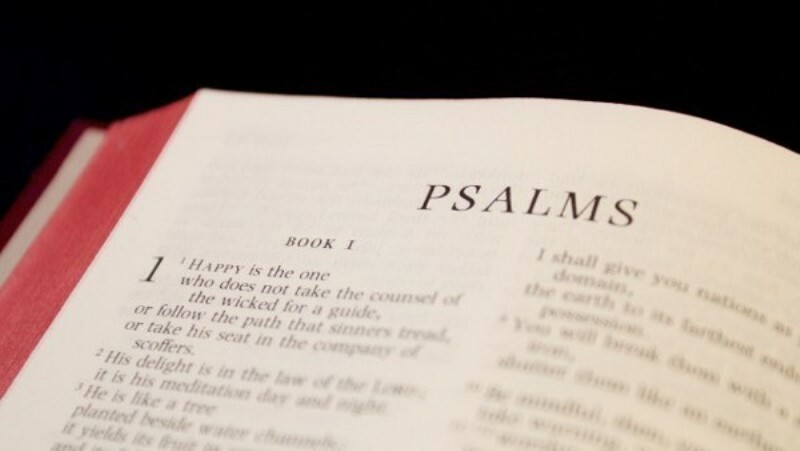 Read 2 Psalms a day over 2 ½ months: Read consecutively through with 2 chapters per day or take a Psalm from the beginning and one from the end until you meet in the middle. For example, Day 1, read Psa. 1 and Psa. 150, for Day 2, read Psa. 2 and Psa. 149. Read 5 Psalms a day in 30 days: Read 5 per day consecutively. Or another option many follow while reading through is to read a Psalm, skip 30, read another, skip 30, read another, until you’ve read 5 for that day. For example, Day 1, you’d read Psa. 1, Psa. 31, Psa. 61, Psa. 91, Psa. 121, and so on. This gives you a viewpoint of the many facets and truths expressed through the Psalms in just one day’s reading. Read the entire book of Psalms in just 5 days: Focus on reading the book by sections as described above, each paralleling the first books of the Old Testament. It would follow this pattern – Day 1 – Chapters 1- 41, Day 2 – Chapters 42 – 72, Day 3 – Chapters 73 – 89, Day 4 – Chapters 90 – 106, Day 5 – Chapters 107 – 150. Read Psalms chronologically with the stories that surrounded them: Read 2 Samuel 13-15 to know what happened between King David and his son Absalom, then you can read David’s feelings and prayers about the situation in Psalm 3. Reading through the Psalms chronologically gives you a wider scope to better understand the heart behind Psalms. This beautiful Psalm that David wrote reminds us that God is our constant caring shepherd and faithful guide. In Him alone do we have hope, both in this life and through eternity. It’s considered to be the most well-known and popular Psalm of all. This powerful Psalm, like all Scripture, is God-breathed, though it’s not known who actually penned the words. It has often been referred to the as the 9-1-1 call to God, the one we frequently go to when praying for God’s protection and help in time of need. This Psalm is a hope-filled reminder that we can fully depend on God for help, that He is constantly watching over us, protecting our coming and going. Though not fully known, some Bible scholars have suggested that Hezekiah, also known as the praying king, is the one who authored this chapter.